With more than 20 years of experience in roofing and restoration, our team at UpWright Restoration Services is extremely well-versed in roofing installation. 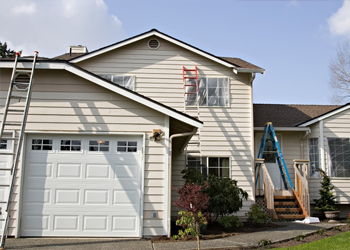 We work tirelessly to ensure that your roof is secure, good-looking, and protected. If you live in Minneapolis or the surrounding area and you’re looking for someone to handle your roof installation, you can count on us to make sure that the job gets done the right way. After all, a roof protects you and your home. It just makes sense to be certain that it’s going to stand the test of time. Learn more about our lifetime workmanship warranty here. Our goal is your complete and total satisfaction. We work to ensure that your home stays safe from damage during our process, so our first step is to set up tarp and protective plywood. Our team carefully and precisely removes all old roofing, giving us a blank slate on which we can install your new roof. We thoroughly inspect the wood decking left after roofing removal to ensure it is sturdy and properly secured. Setting up all that we need to in order to optimize your roof’s efficiency, we apply the drip edge, ice and water shield, and roofing felt. Using only the best products on the market, we carefully install your roofing, with not even the smallest detail going unnoticed. To receive an estimate or find out more about our roofing installation services, call us today. Regardless of your needs, if you’re looking for a contractor to handle your roof installation in Minneapolis and the surrounding area, you can count on the team at UpWright Restoration Services. With over two decades of experience, we know what it takes to install your roof the right way. We’re dedicated to quality at every step of the way from materials to installation, ensuring that your new roof is one that you can count on to hold up for many years to come. You deserve to have the best for your home, so contact us today to get a free quick quote.